When it comes to product data feed, we have seen well, bad and the ugly over the years. Some mistakes are more common than others, though quality levels vary. If data feed errors are not avoided, it could lead to your feed’s rejection. The errors are often small and difficult to detect on your own. A certain level of strategic thinking is required for product titles. The function of the product title is to inform and attract buyers to click on your products. But it also needs to follow each channels guidelines and should contain as much information as possible related to purchase. The issue usually occurs, because the title has to be within a certain character limit. Besides, each channel has their title character limit which makes it difficult to keep the track. For example, Google Shopping won’t display more than 50 characters on the search results page but only allows up to 150 characters in a title. On the other hand, Amazon can reach up to 200 through the limit can vary based on the product category. Nothing good can be expected from a title that is too long, rather than carrying some consequences like poor quality scores, being cut off midway, and a low click-through-rate. Make sure to place the most appropriate information at the beginning of the title, if your titles are too long, but you are confused which information to exclude. The critical information is still visible at first glance in this way. Before preparing your feed, educate yourself on channel guidelines. Check more than once to make sure your feed follows all requirements, once you are finished structuring your feed. How would you write “five dollars” if someone asked you to write it on a paper? There are different possibilities you would have to write it. For example, $5.00, 5$, 5usd, or any other suitable format. When it comes to pricing, there are a lot of different ways to get the same point. On top of that, many channels have their format requirements. These are the main reason why incorrect price format often occurs in the feed. For example, the use of a currency symbol ($ or €) is forbidden, and your local currency is automatically assumed. On the other hand, Google Shopping requires the use of the ISO 4217 codes (USD, EUR, etc.). According to the channel in question, make sure to customize your feed. Make sure to check the pricing format requirements properly to ensure that your feed is accepted and accurately displayed and pricing is transparent. You will not be able to stand out from the crowd without capitalizing your product titles. It’s likely to make shoppers distrustful and scare them off when your product title contains even a single full word in all capital letters. You may lose all possibilities of a sale. Top eCommerce platforms like Google Shopping, Amazon, and Bing forbid over-capitalization in titles. A better way for you to stand out from the crowd is, adding detailed product information to your titles and descriptions and also by providing compelling images. The online retailer, the shopper, and the shopping channel; product categorization is critical for all parties. Your feed may get rejected if the categorization column in your feed is either blank or doesn’t follow a channel’s specifications. Make your channel’s taxonomy, and defined categories are correctly organized and as specific as possible and include as many relevant subcategories that Google provides. Take time to study a channel’s taxonomy and category names to see how in depth the categories go and aim to add several sub-categories when available. Before submitting your feed, remember to check for any blank fields. Don’t lose shoppers trust, the chance of converting them and things that can potentially damage your reputation. For example, if a product is shown as “available” in an ad, but not available once a shopper clicks through your site. For example, on your products landing page, Google requires you to list elements like title, description, price, image, availability, etc. So, all these items should match the same information that is in your product feed for instance. If the data does not match, Google would likely disapprove of your feed. Make sure your product information is standardized on all fronts and stay up to date by submitting your feed regularly. These days it’s easy to manipulate images including filters, watermarks, creative, resizing, etc.). Each channel is having their own strict product image size, for which it’s easy for errors to occur here. For example, Amazon requests for the image to have a dpi of at least 1000 and a pure white background. You may receive a quality alert on your Amazon listings if your product images contain any watermarks, border or promotional text. Regarding image specs, thoroughly check both the channel requirements and recommendations. Every channel has their list of requirements as well as optional data fields. For each export destination, you need to map and prepare your data accordingly correctly. If you end up missing a required field, your feed is likely to be rejected form most of the channels. So, take these requirements seriously. Before submitting your feed, double check your channel requirements. Don’t forget to include all required product data fields and also make use of the optional data fields which can help improve your overall feed. To avoid most of the common data feed errors use a feed plugin. If you have a WooCommerce site, a plugin like WooCommerce Product Feed may reduce your difficulty and enlarge your chance to add extra attributes routinely. 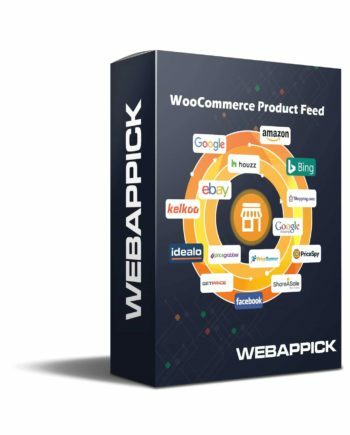 WooCommerce product feed generates product feed or data feed to sync your products with your merchant center. The target of this plugin is to generate product feed and automatically update product information into a feed file according to a given schedule. The extended product title feature of this plugin allows the user to extend the title of a product by adding different attributes. 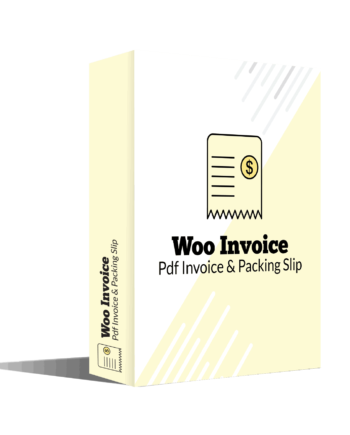 Removing out of stock products using this plugin is flexible. Also, there are options to make feed for specific categories.